To the uninitiated, a rocking chair is just a moving chair, but to those in the know, it is also a back-saving position to feed a newborn, the sleep-inducing cure to a toddler’s scary dream and the ultimate snuggle spot for bedtime reading adventures. We’ve gone back through our archives to bring your attention to the best rocking chairs around. 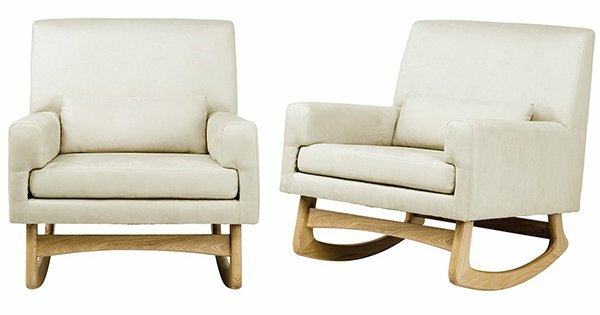 Hobbe is a brand that has become synonymous with quality Australian rocking chairs (pictured above and at top). They have five stunning designs to choose from to suit a classic, vintage or modern decor and I love that they each come with matching ottomans so you can really settle in for the long haul if need be. Buy them directly from Hobbe starting at $695. 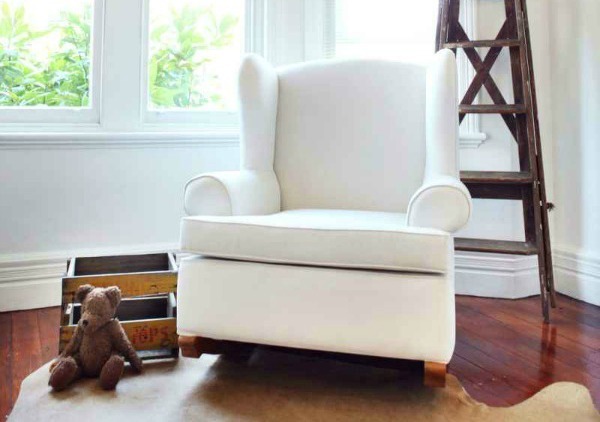 The Nursery Works Sleepytime rocker is as stylish as it is functional. Made from water and stain resistant micro-suede, it is hard wearing and available in ecru or slate so it will look just as good in the nursery as it does in the lounge room. Available online from Ubabub for $799, this rocker continues to be a crowd favourite. The authentic Eames rocking chair from 1948 has has a facelift and is now made from eco-friendly moulded plastic. 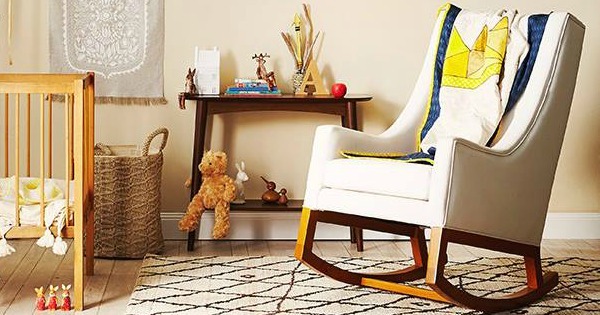 Artfully combining the vintage and modern aesthetic, this rocker is sure to suit any nursery decor and is available from Living Edge for $1109. 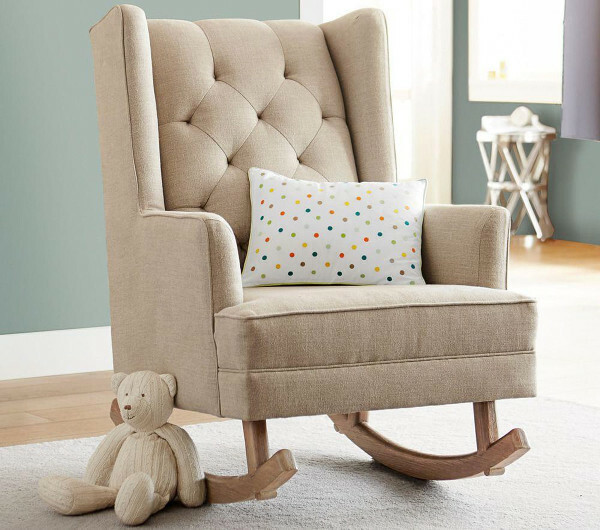 The classic style of Pottery Barn’s Tufted Wingback Rocker will be a delight in the nursery but you’ll be keen to move this good looking chair out to the living area as soon as it is out of circulation. It is available in two neutral colours and isn’t too deep to take up all that valuable space. Order the Tufted Wingback Rocker from Pottery Barn for $1199. For the absolute smoothest gliding action around, you can’t go past the Babyhood Vogue Feeding Glider Chair. 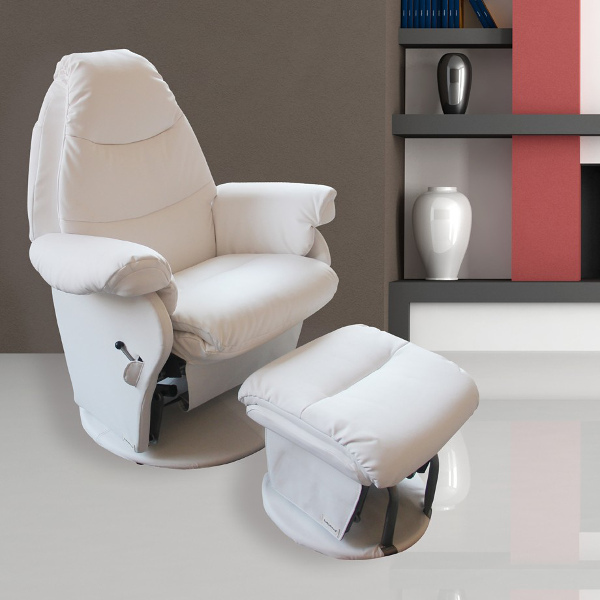 With a lockable recline and adjustable seat you will definitely be able to find the most comfortable nursing and snuggling position available. The Vogue Feeding Glider Chair retails for $549 from Babyhood.